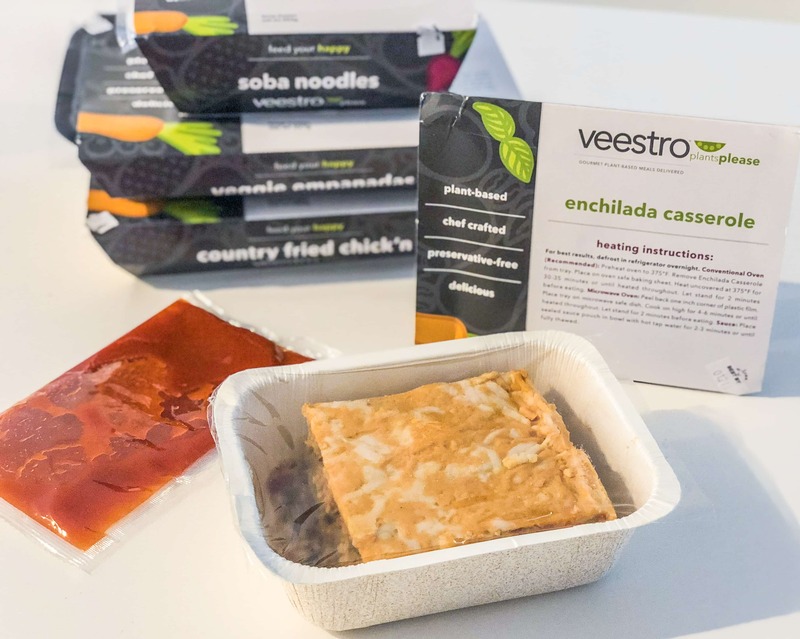 Veestro is a 100% plant based meal delivery service that allows you to do everything online. You open an account, select a plan and then choose your meals. They then deliver it straight to your door, frozen. It’s best to thaw out what you plan on eating a few hours before heating it up. I also found the food tastes better when you heat it in the oven instead of the microwave. Remember, even if you’re using the oven you are still saving a ton of time because you do not have to prep or cook anything – you’re just reheating. 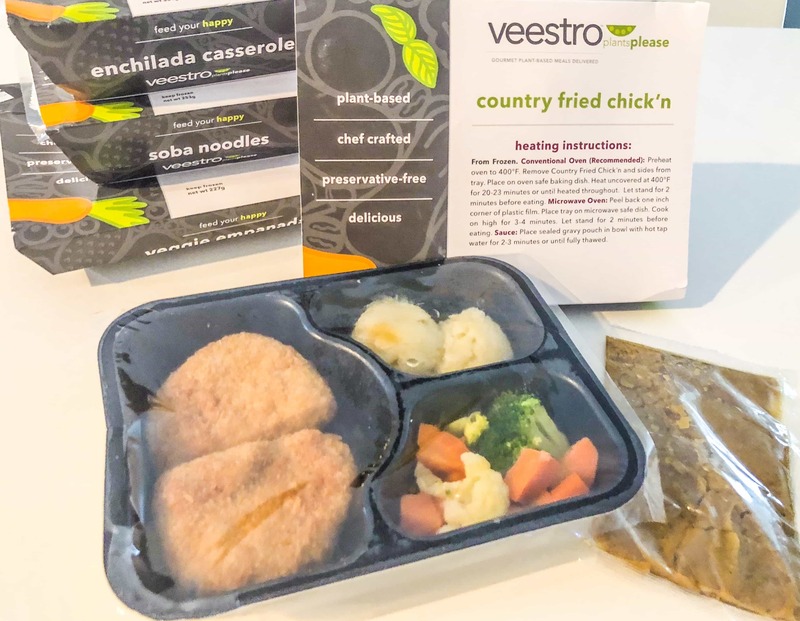 The meals come with full reheating instructions and with a nutrition label. You can choose from over 50 breakfasts, lunches or dinners so there is a ton of variety. From quesadillas to pizza and chicken nuggets, there is something for everybody. They even have desserts like Strawberry Shortcake and Pecan Pie. If you’re curious, you can see a list of the different meals they offer, without having to sign up, here. This was my first time attempting a plant based diet, so I’m not going to lie- I was scared! 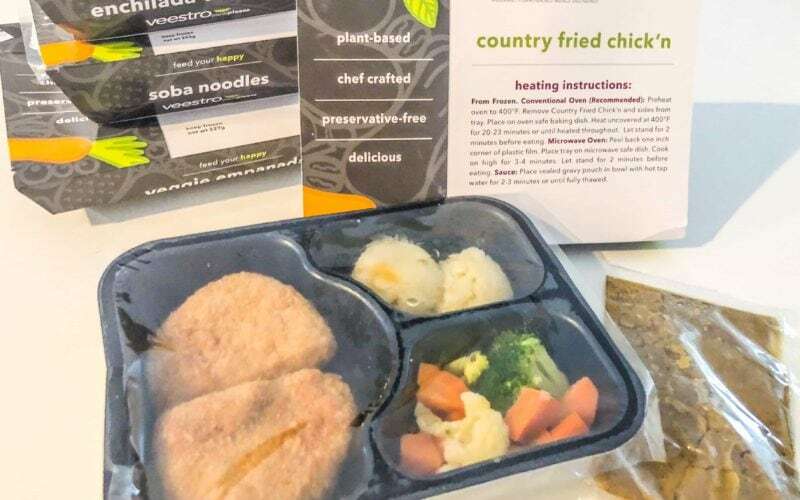 When I saw there was 100% plant based chicken, I couldn’t imagine what that would taste like or even be made of. Let me tell you, though, everything was really good! It was so good that I finished every meal. I especially liked the latin inspired meals like the empanadas and quesadillas. I did not try this specific plan, but I know that they have it. You can find more details about their weight loss plan and macros here. They also have a juice cleanse as well, but I haven’t tried it. I do, however, wish I would have tried the juice cleanse before I tried the meals. I think it would have been a good way to start off a plant based diet. They currently have a code for $20 off of your first three orders, so $60 off total. The code for that is VEESTRO60. Overall, I really liked it. I think it’s great for anyone who wants to switch over to a plant based diet and has no idea where to begin. This takes some of the pressure off of you while you do your research and figure it all out. It’s also great to start with food that actually tastes good vs Pinterest fails, because you will be more likely to stick with it. 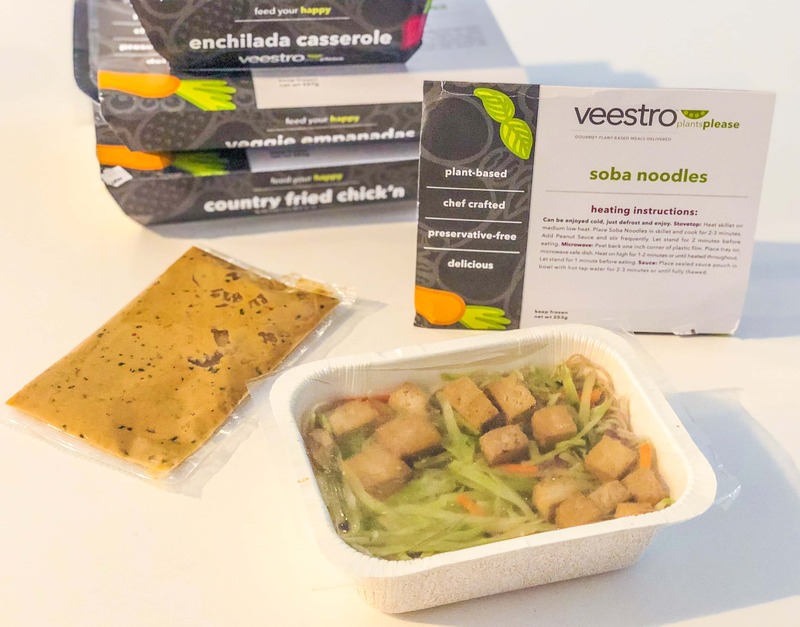 If you are already on a plant based diet, this is still great if you simply don’t have the time to cook meals or even if you just want to get a few for nights you know you are going to be swamped. I’d definitely say it’s worth giving a try! 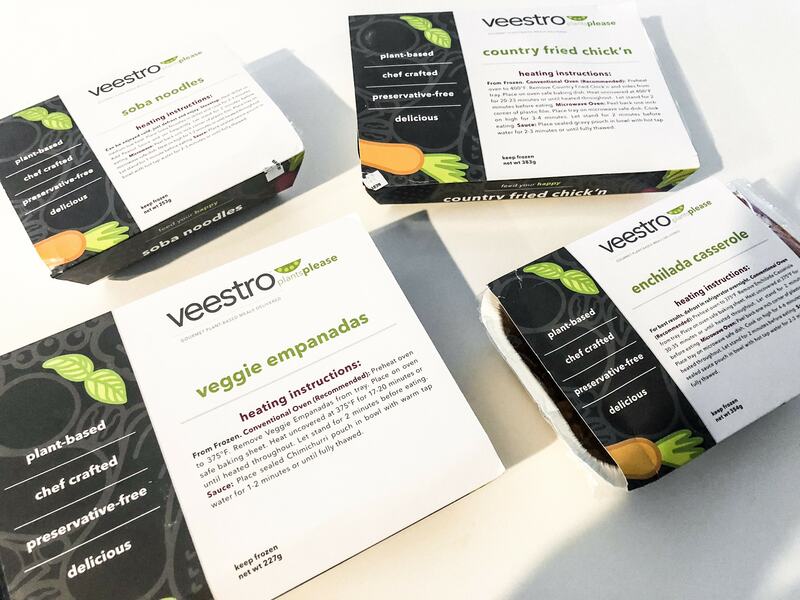 Disclosure: Veestro provided me with samples in exchange for this honest post.